What is a Semi-Structural Rivet? Semi-Structural Rivets provide a high-strength fastening solution. They have a special bulbing tail formation with a large load-bearing area. These are commonly used for work with thin sheet metals. 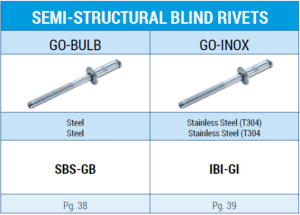 Goebel Fasteners GO-BULB and GO-INOX come in All Steel – Steel/Stainless – All Stainless, respectively. The GO-INOX is a popular choice for applications with high corrosion risk due to its all stainless composition. 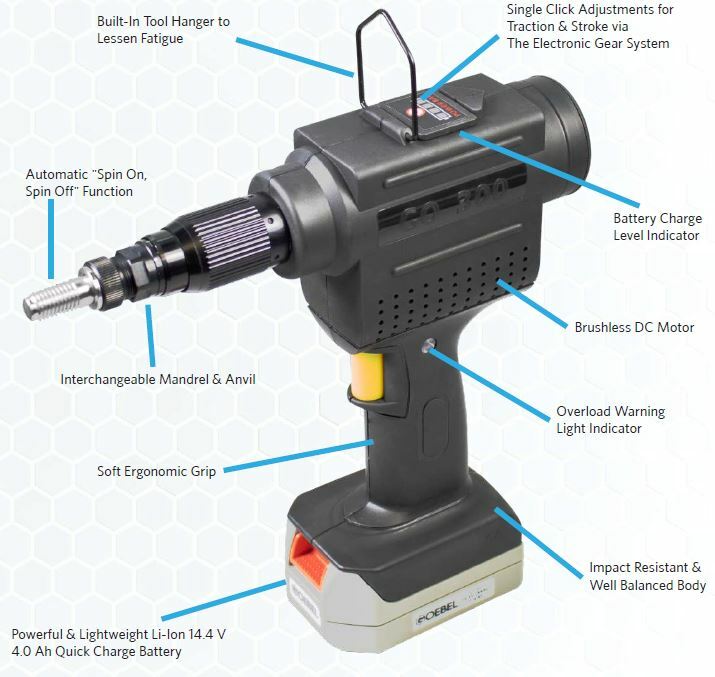 Both the GO-BULB and the GO-INOX come in dome head styles and can compensate for irregular or oversized drill holes. Semi-Structural Rivets also retain the mandrel after the rivet is set, which in turn leads to higher shear and tensile values. What are the advantages of using Semi-Structural Rivets? Semi-Structural Rivets are often chosen due to the fact that they offer high shear and tensile strength combined with excellent corrosion resistance (GO-INOX). The retained mandrel adds strength, making the Semi-Structural Rivets less prone to failure under high shear loads. They also provide a large load-bearing area on the blind side of the work object, spreading the clamp load evenly. Areas of application: Medical Equipment, Automotive, Cabinets, HVAC, and more. Generally speaking, Semi-Structural Rivets are the preferred fastening solution when working with thin sheet metals. Check out pages 38 & 39 of our product catalog for an overview of the various styles and grip ranges. 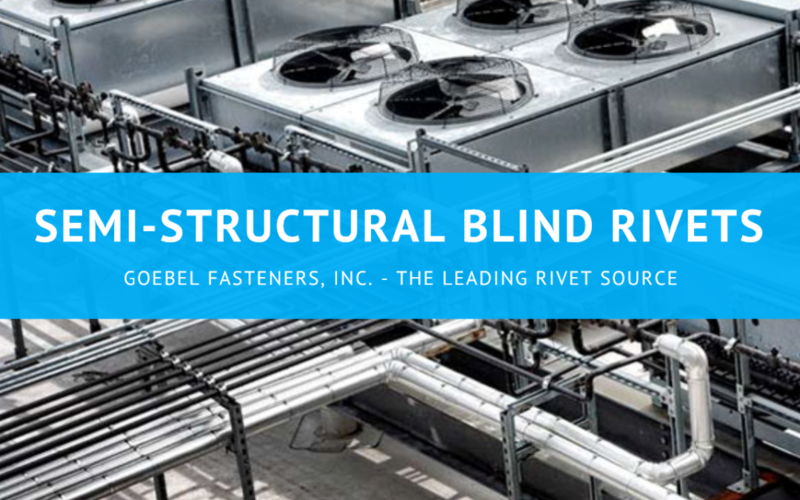 Next week we will take a closer look at another type of blind rivet. Make sure to follow us on Twitter and LinkedIn to stay up to date on the latest developments at Goebel Fasteners.